Saying no. Not a bad thing to do at the beginning of the year. I didn’t end the year with a bang; I ended it with a pfffft. I felt deflated and used up. Since October (after I moved to my new home), I’ve been working every single day, just a couple of hours of classes everyday, but no break, no weekends. It was a conscious decision on my part. It sounded good on paper and it worked well during the first week… by the third week, no so much. I forgot that I was not 20-something anymore and that I don’t bounce back to normal if I pull an all-nighter. You see, aside from my classes I was also doing graphic design projects, I was painting, and I had an exhibit in Ocotber. All good, and I am grateful, mind you, but it was slowly taking a toll on my body and my psyche. Back to December 2013. I was tutoring kids up until the morning of the 23rd, then did my last minute shopping and preps for last minute orders for my MEOW shirts and illustrations. Again, very grateful, but I was exhausted. Christmas came and went (I had a great time with the family), and then off I go again working on some thing or another. Oh, let’s not forget the dinners and the parties. All great fun, but going back to not being 20-something, I realize I needed more time to rest after a night of drinking. December 31st— I was ragged to the bone. I had lunch with my family and went home to clean up and get ready to go out to party. And then I said no. I said, to hell with it! Why do I have to party when all I want to do is rest and veg with the kitties (who were all sick, by the way). So I stayed in, home alone with the kitty cats. On New Year’s Eve. It’s not as bad as it sounds, actually. It was the best decision EVER. I was relaxed and was exactly where I wanted to be. I stuck my head out for a bit to see the fireworks, made some noise and talked and cheered with the neighbors. It was the way I wanted to spend my NYE. And saying no after that became easier. I said no to dinners and get togethers (Why force myself to do it if I don’t care if I see any of them or not, right?) and I said no to resuming classes right away. I did have 3 hours of classes everyday from the 3rd to the 5th, but that was because I had promised to do it back in November. And I haven’t had class yet since then. I’m resuming my tutorials next week; this week I rest. I’ve been thinking a lot, doodling a lot… doing things I haven’t done in ages, but should be doing. I’ve started blogging again, see!! I want to make sure my head is on straight and my energy reserves are full before I rush head on into my work. I’ve got to get my priorities straight and not waste my energy on fluff. The “saying no” part still continues. I got an offer to teach another class and I declined. As much as I love teaching and my students, I want to lessen my time away from my studio. Making more personal art is on top of my to-do-list this year. That’s the only thing on my list so far (hah! ), but it’s a biggie. Let’s see how it turns out for me in the coming weeks and months. 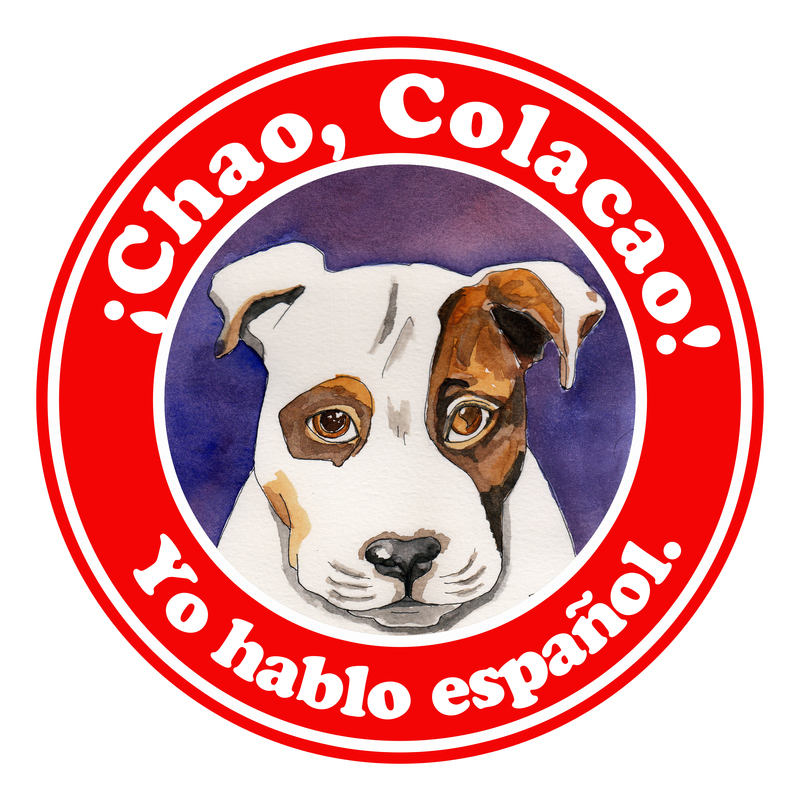 ¡Chao, Colacao, 2013! Here’s to a productive, soul-filling 2014!